Collected in 1961, this rare 11.5 inch Lega fetish is an important discovery. 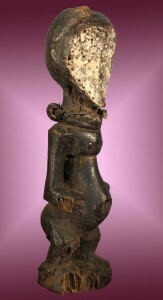 To my best knowledge, only the Royal Museum of African Art in Belgium has a similar one. Note the magical charge in the top of the head and an opening for the same in the belly. A twisted hide necklace encircles the throat. 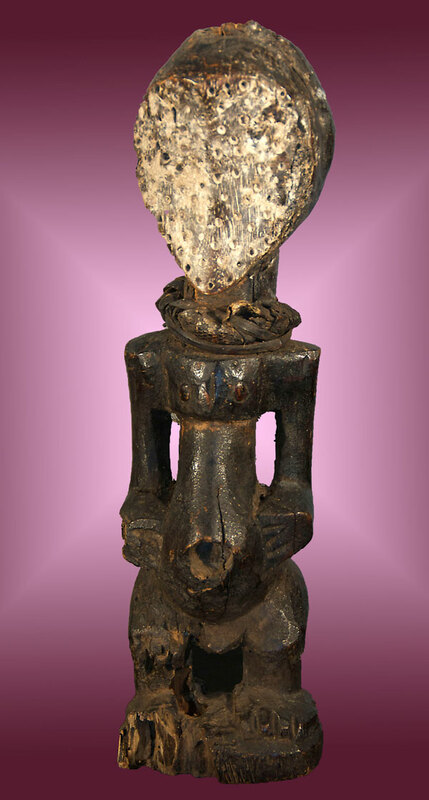 holes surround and dot the heart shaped face with its encrusted kaolin patina. 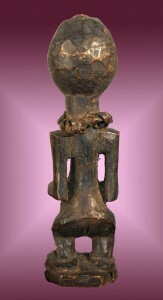 Clearly ancient by African standards, the figure has a haunting quality that resonates like a powerful Songye nkisi.